A SENIOR official claims a senior colleague suggested to “hide or tamper” documents. On any other day, such accusations will warrant a full investigation. But in the case of the Asian Football Confederation (AFC), it was a revelation that was video recorded and presumably kept aside. Malay Mail had last Saturday revealed AFC financial director Bryan Kuan Wee Hoong, in a video recording on July 26, 2012, claimed AFC general secretary Datuk Alex Soosay said “protect me” before suggesting “can you tamper or hide documents that relate to me”. Kuan had, in the video, said the conversation between him and Soosay took place at the AFC House in Bukit Jalil on July 23, 2012, three days before former Fifa investigator Michael John Pride recorded the statement. This was during the 2012 audit by PriceWaterhouseCoopers (PwC). Kuan refused to talk when contacted last week. Soosay vehemently denied the contents of the video. I will not go into the details of the video. Instead, I would like to know if Kuan had lodged a formal complaint to AFC president Sheikh Salman Ibrahim Al Khalifah regarding the matter. If yes, did Salman take any steps to address the issue? After all, his promise, when made president in 2013 was to initiate reforms. Also, shouldn’t Pride have reported it to Fifa? The expose comes as delegates from football associations in Asia select their new committee during the elections in Manama tomorrow. Former AFC general secretary Datuk Peter Velappan was right to say AFC belongs to national associations in Asia, fans and media. The regional body has to explain what came out from the PwC report. Were the recommendations made by PwC followed through and were any action taken? Prior to the video, those within and the authorities kept saying the “case is closed”. But no one could explained how they arrived at that decision. Former AFC financial director Amelia Gan and her husband Tony Kong Lee Toong were implicated in the theft of missing documents at AFC House. Kong claimed trial on Sept 19, 2012. On Nov 9, 2012, Kong’s lawyer Kamarul Hisham Kamaruddin said prosecutors decided to drop the charge but he did not give any reasons. Will the Attorney-General’s Chambers explain why it dropped the charge against Kong? Will police now re-investigate the theft claims following the contents of the video? There is now the presumption the PwC report was done to unseat former AFC president Mohammad Hammam over his alleged corrupt practices. As Hammam was slapped with a life ban from Fifa and quit all football related activities in December 2012, critics believe the report has served its purpose. But what about the other revelations made by PwC? There is a lot of explaining to do. We are stakeholders and we demand answers. Silence is not an option. Lee Chong Wei’s ban officially ends tomorrow. He is one happy shuttler. Singapore radio station 938Live had on Monday asked me if the backdated eight-month ban was a “let-off” for the former world No 1. I replied Lee went through uncertainty during the period, enough to cause one mental and emotional torture. Also the verdict leaves a black stain on his resume. Lee, at a press conference on Monday, said he took the medicine from his parent. The BWF panel, in its full judgment, revealed Lee has been taking cordyceps since he was 13 “because his mother believed it was beneficial for his health”. The lady, apparently, is a wife of a former minister. A National Sports Institute (NSI) nutritionist was informed about the matter but why wasn’t it red-flagged? Did she simply assume it was “safe” to consume? The capsule could have been contaminated while being manufactured and this is made worse as it is not from a certified pharmaceutical company. Questions are also being raised if the supplement has the necessary approval from the authorities. Lee will want to quickly forget this episode. But athletes must realise the importance of sharing information and working with the respective support teams including NSI. Let’s not sweep this episode under the carpet. Stakeholders must work together and ensure our athletes know what they are consuming. They cannot assume. Perhaps a pledge by the national associations and federations could seal their commitment in educating our athletes, in order for them to understand the consequences of taking banned substances. Lee is blessed he receives good support from the BA of Malaysia and his sponsors. Plenty has been spent, especially in the hiring of Mike Morgan, who represented Lee during the hearing in Amsterdam earlier this month. Perhaps Lee could repay his supporters by educating athletes about the importance of declaring what they consume. He could use this saga as an example, reminding our future stars that silence or ignorance is not golden. Founders of many modern states, including stalwarts of anti-terrorism like Israel and allies in the war on terror like the Kurds, achieved goals with political violence that killed innocent people and would be classified today as terrorism. Political violence should be recognised as a reflection of deep-seated social, economic and political problems -- rather than demonised through terms like terrorism or evil. RECENT DOCUMENTS uncovered by German magazine Der Spiegel trace the rise of the Islamic State to a network of former Iraqi intelligence officers loyal to toppled Iraqi dictator Saddam Hussein. In 2003 they were deprived of their jobs with no future prospects when then US administrator of Iraq Paul Bremer disbanded the Baathist military and security forces. They were aided by Syrian military officers and officials who saw the group as a buffer against a feared US attempt to topple President Bashar al-Assad. The history of the rise of the Islamic State as an extreme Sunni Muslim rejection of discrimination by a Shiite majority in Iraq and repressive dominance by an Alawite minority in Syria revives the notion of “one man’s freedom fighter is another’s terrorist”. That notion is similarly embedded in the policies of both Western nations and conservative Arab regimes concerned about their survival. They not only forged cooperation with Turkey’s Kurdish Workers Party (PKK) and Syria’s Kurdish People's Protection Units (YPG) but also Gulf support for the jihadist Syrian rebel group Jabhat al Nusra that is locked in battle with Islamic State and in Western distinctions between good and bad foreign fighters. ‘Bad foreign fighters’, angry at the human and political cost of combatting political violence with a military rather than a predominantly political campaign, are the thousands who have joined the ranks of Islamic State; ‘good foreign fighters’ are those who have gone to Syria to fight with the Kurds against the jihadists, particularly during last year’s battle for the besieged Syrian Kurdish town of Kobani. The notion is also evident in the US National Intelligence’s most recent report to Congress that for the first time in years no longer includes Iran or the Tehran-backed Lebanese Shiite militia Hezbollah as a terrorist threat to US interests. The list of internationally - recognised political leaders who can trace their roots to political violence and terrorism is long. Yet, they and their predecessors disavowed what is termed political violence once they achieved their goals. The list includes Israeli Prime Minister Benyamin Netanyahu, whose ideological roots like those of former Israeli leaders Menachem Begin and Yitzhak Shamir, lie in the use of political violence and terrorism in pre-state Palestine without which the State of Israel most likely would not have been established. Both Begin and Shamir were wanted commanders of Irgun, a group denounced as terrorist by the British Mandate authorities. Similarly, Palestinian President Mahmoud Abbas hails from a movement that was long condemned as a terrorist organisation. While nothing justifies the killing of innocent civilians, recognition of Palestinians as a people with national rights and the creation of the Palestine Authority would most probably not have occurred without Palestinian attacks in the 1960s and 1970s on civilian targets. Finally, the PKK, an organisation deemed terrorist by Ankara and its Western allies as well as its Syrian counterpart, the YPG, are de facto allies in the fight against Islamic State, the jihadist organisation that controls a swath of Syria and Iraq that employs brutality as a means of governance. The list is far longer: think of Nelson Mandela’s African National Congress (ANC), the aging leaders of Algeria or the Irish Republican Army (IRA). The sole common denominator of all these examples is not an ideology but a political grievance and a belief, right or wrong, that the odds were stacked against them and that violence was a necessity rather than a goal in and of itself. Political violence is a tactic most often employed and frequently with success by those opposed to forces with overwhelming military might. All of these men and groups who today are either respected political leaders or on their way to returning to the international fold saw political violence as a means of the underdog to secure their perceived rights and right an injustice rather than as a criminal philosophy and practice implicit in the use of the word terrorism. US Secretary of State John Kerry, in a moment of lucidity, implicitly recognised the underlying politics when he last year acknowledged that American Muslims had stressed to him that the absence of an Israeli-Palestinian peace was fuelling anger on the streets and recruitment by Islamic State. “People need to understand the connection of that … it has something to do with humiliation and denial and absence of dignity,” Kerry said. All of this is not to justify the use of political violence, the killing of innocent civilians or the extremist ideology and brutality of groups like Islamic State. Nor does it justify the indiscriminate torture of large numbers or mass rapes of women as a means of control. It is, however, recognising a political reality however unpleasant that may be. That reality involves acknowledging political violence for what it is and debunking efforts to depoliticise the roots of political violence that only serve to evade often painful political choices involved in confronting underlying grievances. It also involves accepting that it is politics, rather than military force and law enforcement, that offers the tools to effectively resolve situations that produce political violence. It also serves to spotlight the fact that terms like ‘terrorism’ and ‘fighting evil’ turn the struggle against political violence into a zero-sum game in which victory constitutes the elimination of barbarians who, with problems unresolved, bounce back from setbacks in new, far more brutal guises. Bombastic statements by Western leaders designating political violence termed terrorism, particularly in the case of jihadists, as an existential threat and an epic struggle against a form of totalitarianism comparable to that of fascism and communism, has only served to raise the profile and appeal of brutal perpetrators like Islamic State. The numbers speak for themselves: University of Maryland research shows that jihadist attacks had tripled in 2013 compared to 2010. Political violence may be a scourge, yet it is fundamentally an act of politics. Recognising this makes politics rather than predominantly military force the appropriate response. A first step towards that recognition would be removing the term terrorism from the debate in a bid to eliminate ideological prejudice that serves vested interests and at best complicates the search for real solutions to real problems. James M. Dorsey is a Senior Fellow at the S. Rajaratnam School of International Studies (RSIS), Nanyang Technological University in Singapore, co-director of the University of Würzburg’s Institute for Fan Culture, a syndicated columnist, and the author of The Turbulent World of Middle East Soccer blog. KUALA LUMPUR — A former Asian Football Confederation (AFC) stalwart has questioned why the “tamper or hide” allegations by a senior AFC official during an internal audit in 2012 were not highlighted and investigated. Datuk Peter Velappan, who served as AFC general secretary from 1977 to 2007, said the allegations by AFC financial director Bryan Kuan Wee Hoong were “shocking” and had “serious implications on the integrity” of the regional body. The video was recorded on July 26, 2012. Kuan met Soosay three days earlier at the latter’s office at AFC House in Bukit Jalil. Soosay vehemently denied the contents of the video when contacted by Malay Mail on Wednesday, saying it was an attempt to smear him. The former Negri Sembilan footballer is in Bahrain for meetings ahead of the AFC elections on April 30. “Why didn’t the party concerned raise this matter with the (AFC) president?” asked Velappan. He said Kuan and Pride were duty bound to report the matter to the relevant parties. Velappan, 80, said there were processes to address such matters. “If the matter had been highlighted to the AFC president, he would have instructed the executive committee to look into the matter. The committee would then be able to instruct the ethics committee to conduct an inquiry. “It is clear no one knew about the video up until now,” he said. Velappan stressed AFC had an obligation to inform its stakeholders about the findings of any inquiry or investigation, including the 2012 internal audit by PriceWaterhouse Coopers (PwC). “I hear the word ‘case closed’ often but what were the grounds and how did the authorities, including AFC, come to that decision? AFC represents football in Asia. The national FAs, officials, fans and the media need to know. “Recommendations were made by PwC. Have they been followed through? There must be an internal investigation and those accountable should be made known along with what action, if any, has been taken,” he said. Veteran journalist James Dorsey, an authority in world football, had quoted sources in his blog mideastsoccer.blogspot.com as saying: “The statements (by Kuan) were made, the sources said, in case questions (regarding) Soosay’s alleged request for the documents were posed. “The sources said Kuan had discussed Soosay’s July 23 request with (former AFC staff) James Johnson who, according to the video, was present during the recording of Kuan’s statement by Pride. “Kuan said he made his written and video-taped statements on the advice of Johnson,” the blog posting read. The video was taped during the 2012 PwC audit initiated by AFC to address alleged corrupt practices by former AFC president Mohammad Hammam. 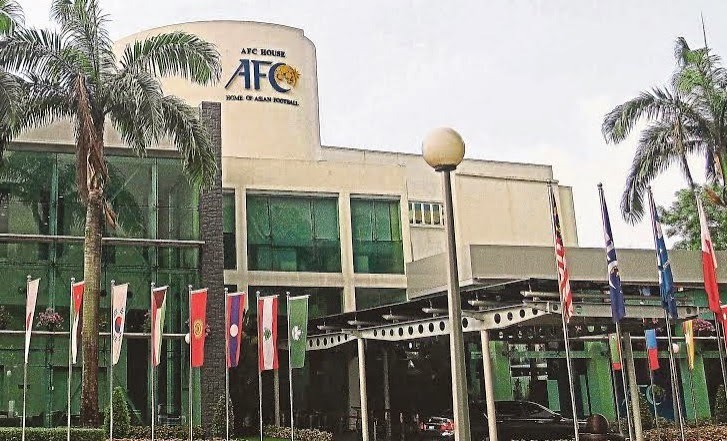 On July 31 the same year, AFC lodged a police report claiming documents — bank reports and statements linked to Hammam — were missing from AFC House in Bukit Jalil. The missing documents related to a US$2 million (RM7.23 million) payment in 2008 by International Sports Event, one of three World Sport Group shareholders. The other two shareholders are Lagardere Unlimited and Dentsu. Bukit Aman Commercial Crime Investigation Department confirmed Soosay had, in a police report on Aug 17, 2012, alleged Hammam had embezzled nearly US$10 million (RM36.17 million). The case was later classified as NFA (no further action). The ‘tamper or hide’ video leak comes as AFC president Sheikh Salman Ebrahim Al Khalifa is expected to be re-elected at the AFC congress on April 30 in Bahrain. Sheikh Salman is the only candidate for the post and will automatically also become Fifa vice-president. A senior executive of the Asian Football Confederation (AFC) allegedly requested in 2012 at least one of his subordinates to tamper with or hide documents related to enquiries by independent auditors and FIFA into management of the group by Mohammed Bin Hammam, the AFC’s ousted president and vice president of the world soccer body, according to claims made by a subordinate in two statements and sources with first-hand knowledge close to the Kuala Lumpur-based group. The official who reportedly requested the tampering or hiding of documents bearing his name or signature, AFC general secretary, Dato' Alex Soosay, subsequently alleged in a police report on Aug 17, 2012, that Mr. Bin Hammam had embezzled some $10 million, the Malaysian Commercial Crime Investigation Department (JSJK) told the Malay Mail. The police handed the case over to the Malaysian attorney general who decided not to take further action. Mr. Soosay this week vehemently denied the alleged cover up in a telephone conversation with the Malay Mail as he was boarding a flight from Dubai to Bahrain. “If there was something, wouldn't they have investigated me? This is just a smear (campaign) against me. There is no such thing, “Mr. Soosay said. "Where is this coming from and why now?" he asked. In a written and signed statement dated July 26, 2012 and a video statement taped the same day by Michael John Pride, a FIFA security officer, AFC Finance Director Bryan Kuan Wee Hoong claimed that Mr. Soosay made his request during a 30-minute conversation that took place three days earlier on July 23 to which he had been summoned by the general secretary. Asked this week by the Malay Mail to confirm Mr. Soosay’s request, Mr. Kuan refused to comment. “I do not wish to speak about this,” Mr. Kuan said before hanging up the phone. Mr. Kuan suggested in the video that it was not the first time that Mr. Soosay had made the request. "When it was confirmed PwC was going to do the investigation, I had a separate conversation with him (Soosay) and he told me clearly that anything related to him, don't give to them (PwC)," Mr. Kuan said. Mr. Kuan quoted then AFC Director Member Associations Relations and Development James Johnson as telling him that Mr. Soosay had made a similar request to Mr. Johnson. Mr. Johnson has since left the Asian group to join FIFA. Mr. Johnson, who was at the time reportedly supervising the investigations, was not available for comment. In his statements, Mr. Kuan said Mr. Soosay had not identified specific documents but that he had concluded from the conversation that the AFC general secretary was referring to documents that he had signed, particularly related to cash advances to Mr. Bin Hammam, a key element in the PwC’s audit. Mr. Kuan said that he had advised Mr. Soosay to “let them investigate. I think everybody understood the situation he (Soosay) was in. When Hammam was in AFC, everybody knew that if he asked you to do something, you had to do it." The sources close to the AFC said Mr. Pride taped the video statement and took the written statement as a private investigator rather than in his capacity as a FIFA official. The statements were made, the sources said, for the record in case questions about Mr. Soosay’s alleged request or the documents were posed rather than as the basis for an investigation. The sources said that Mr. Kuan had discussed Mr. Soosay’s July 23 request with Mr. Johnson who, according to the video, was present during the recording of Mr. Kuan’s statement by Mr. Pride. Mr. Kuan said he made his written and video-taped statements on advice of Mr. Johnson. Mr. Kuan said in his statements that he had rejected the request and had not tampered or hidden any documents. He said he told Mr. Soosay that it would be wrong to tamper with documents and would make the situation worse if they went missing. Asked in the video why Mr. Soosay would want the documents tampered with or hidden, Mr. Kuan said: "I'm not sure ... possibly because he is afraid he may be accountable for signing the payment instruction and that he didn't question it." He added that "If suddenly it goes missing, then everybody's integrity will be questioned," Mr. Kuan asserted in the video days before he reported documents as missing that it was "quite impossible" for anyone to tamper or disappear documents from his office. Asserting that the AFC could be held liable for the payments by the WSG shareholder, may have been used to launder money, and could have breached sanctions against Iran and North Korea, the PwC audit said that “our transaction review revealed that items sampled were, in most cases, authorised by the General Secretary or Deputy General Secretary and the Director of Finance. As signatories these parties hold accountability for the authorisation of these transactions. We also note the Internal Audit and Finance Committees were aware of this practice,” the PwC report said. In a letter to Mr. Soosay dated September 27, 2012, Mr. Bin Hammam’s lawyer, Eugene Gulland of law firm Covington & Burling LLP, asserted that the general secretary had a conflict of interest as a result of PwC’s findings and demanded that he excuse himself from any involvement in the investigation of Mr. Bin Hammam. Mr. Gulland asserted further that Mr. Soosay had been intimately involved in the negotiation of the WSG contract as well as a broadcast agreement with Al Jazeera. “It appears that you failed to reveal (to PwC) the existence of the Ad Hoc Committees which negotiated these contracts (on which you sat) nor the numerous internal review meetings both before and after the conclusion of the contracts in which you were involved…. In these circumstances it should be abundantly clear that you were completely conflicted with respect to the matters presently under investigation,” Mr. Gulland wrote. In response to Mr. Gulland’s demand, Mr. Zhilong accused the lawyer in a letter to AFC members dated October 17, 2012 of adopting “intimidatory tactics” in Mr. Bin Hammam’s battle to defeat charges of bribery, corruption and financial mismanagement. Sources close to the AFC said Mr. Jilong wrote the letter in response to a barrage of emails and other communications in which the Qatari national allegedly threatened and intimidated AFC executive committee members and staff. Sources close to the AFC as well as the audit said the documents were also related to a separate investigation of Mr. Bin Hammam that was being conducted on behalf of FIFA by the Freeh Group International Solutions, LLC, a global integrity and risk compliance consultancy founded by former US Federal Bureau of Investigation (FBI) director Louis J. Freeh. “All of this was related. It was a complicated period. Only a small circle within the AFC knew about it. The documents were all connected to investigations we were doing,” said one of the sources. The leaking of Mr. Kuan’s statements came as AFC president Sheikh Salman Bin Ebrahim Al Khalifa stood to be re-elected at an AFC congress on April 30 in his home country of Bahrain. Sheikh Salman, who is the only candidate in the election and will automatically also become FIFA vice president, was initially elected in 2013 to succeed Mr. Bin Hammam and expected to introduce reforms that would ensure proper governance of the AFC. Instead, Sheikh Salman since taking office buried the PwC audit and moved to centralize power within the group in his hand. In doing so, Sheikh Salman reneged on promises to establish a committee to look into political interference in Asian soccer and to report within a month on the status of the PwC audit. The burying of the audit effectively precluded an investigation of Mr. Soosay after he was identified in the audit as having been one of three AFC executives who had authorized payments related to Mr. Bin Hammam that were being called into question by PwC. “The audit’s purpose was to deal with Bin Hammam. It served its purpose. It’s been buried,” said an AFC executive committee member, suggesting that establishing facts as the basis for reform had not been the group’s primary purpose in commissioning the audit. Sheikh Salman last year persuaded the AFC to adopt a resolution that solidified his power base by automatically nominating the group’s president as FIFA vice president. The move meant that the Asian FIFA vice presidency would no longer be an elected position. As a result, Prince Ali Bin Al-Hussein of Jordan, who had been elected as FIFA vice president, would no longer be able to run for that office. A leading reformer in world soccer, Prince Ali is challenging FIFA President Sepp Blatter in the world soccer body’s presidential election scheduled to be held next month. Ironically, Mr. Soosay’s attempt to shield himself from the PwC audit leaked as Mr. Blatter in his weekly column in a FIFA magazine heaped praise on the Asian soccer body saying that “the AFC symbolises the importance of football as a school of life.” Sheikh Salman has promised that Asia would vote for Mr. Blatter in next month’s FIFA election. The PwC audit concluded that Mr. Bin Hamman had used an AFC sundry account as his personal account. It also questioned a $1 billion master rights agreement with Singapore-based World Sports Group, which was negotiated by Mr. Bin Hammam. The audit advised the AFC to seek legal counsel to ascertain whether the contract could be cancelled or renegotiated. It also suggested that the AFC solicit legal advice on potential civil or criminal charges against Mr. Bin Hammam. The PwC report constituted the basis for FIFA’s decision in late 2012 to ban the Qatari for life from involvement in professional soccer. Mr. Kuan made on behalf of the AFC the first of three reports to the police that documents had been stolen from the AFC five days after recording and signing his statements, the Malaysian police told the Malay Mail. In November 2012, the Malaysian public prosecutor dropped charges against Kong Lee Toong of involvement in the theft of documents from the AFC. Mr. Kong was the husband of Amelia Gan, who was AFC’s director of finance under Mr. Bin Hammam. Ms. Gan has since joined Qatar Stars League as a club licensing and business planning officer. The PwC report asserted that Ms. Gan starting in 2006 had managed the AFC account which Mr. Bin Hammam used “to facilitate personal transactions as if they were his personal bank accounts.” It also alleged that Ms. Gan was involved in negotiating AFC’s contract with WSG. “When the President (Bin Hammam) wished to facilitate a transaction from this account, he would instruct his Personal Assistant or Ms Gan, depending on the type of transaction,” the PwC report said. The report said Ms. Gan was aware of multiple unexplained payments made by Mr. Bin Hammam, including $20,000 to a purported FIFA lobbyist. Mr. Kong surrendered himself to police in after Mr. Kuan reported the theft of the documents on July 31, according to sources close to the AFC and Agence France Presse. In that police report, Mr. Kuan stated that had he noticed that an “important document, which contained a bank report/statements belonging to former AFC president (Mohammad b Hammam), was missing from my office,” according to the sources. Mr. Kuan told the police that he and Mr. Johnson had last reviewed the document on July 13, 2012 and that “after that I kept the document back in a storage drawer” until he discovered that it was missing. The sources said that the AFC within hours of reporting the missing documents received a letter from Mr. Bin Hammam’s Malaysian lawyers asserting that the group was responsible for the disappearance of documents related to what the lawyers described as "personal payments." A second Malaysian police report dated August 11, according to the sources, quoted the AFC as reporting that AFC staffer Selina Lee Siew Choo, “had admitted taking the file (containing the documents) and said she had handed them to a male Chinese known as Tony, the husband of Ms Amelia Gan, who was the former (AFC) Finance Director. Selina had also admitted making a copy of a bank document advice for a transaction worth USD $2 million, which was a payment from ISE,” International Sports Group, the WSG shareholder. The payment referred to payments totalling $14 million into Mr. Bin Hammam’s AFC sundry account in advance of the signing of the company’s contract with the Asian soccer body. Malay Mail: Explosive ‘tamper or hide’ AFC probe video surfaces / Soosay: Where’s this coming from, why now? KUALA LUMPUR — The general secretary of the Asian Football Confederation (AFC) allegedly attempted to "tamper or hide" documents during the 2012 internal audit that was triggered by claims of corrupt practices by then president Mohammad Hammam, reveals evidence obtained by Malay Mail. A video recording of a Fifa investigation, obtained by Malay Mail this week, sheds new light on the episode and implicates Datuk Alex Soosay in an alleged cover-up. Soosay vehemently denied the contents of the video, saying it was an attempt to smear him. The former Negri Sembilan footballer is in Bahrain for a series of meetings ahead of the AFC elections on April 30 (see accompanying story). The explosive disclosures surfaced in the video recorded on July 26, 2012 in an interview with AFC financial director Bryan Kuan Wee Hoong by Fifa investigator Michael John Pride. Kuan said Soosay had, during a meeting in his office three days earlier, spoken about the PriceWaterhouse Coopers (PwC) audit before allegedly requesting him to tamper or hide documents which could incriminate him. He claimed Soosay said "protect me" before asking "can you tamper or hide any documents that relate to me?" "He started by saying how are things going ... and then said things are under control. He explained the next steps by AFC and Fifa. He suddenly said 'protect me' and I was surprised," Kuan said in the video. "As far as I understand (Soosay was talking about) things he had signed ... about the premium voucher, the instruction to initiate payment mainly possibly for cash advances taken by Hammam. "I said let them investigate. I think everybody understood the situation he was in. When Hammam was in AFC, everybody knew if he asked you to do something, you had to do it." Kuan said he had received a similar request in the past. "When it was confirmed PwC was going to do the investigation, I had a separate conversation with him (Soosay) and he told me clearly anything related to him, don't give to them (PwC)," Kuan said in the video. Kuan said he was unable to tamper or hide documents as it would be wrong and would worsen the situation if documents went missing. Soosay apparently "took a short breath" and said "I should have tampered or not provided the documents before PwC conducted this audit". Asked why Soosay would want the documents tampered with or hidden, Kuan said: "I'm not sure ... possibly because he is afraid he may be accountable for signing the payment instructions and that he didn't question it." "If suddenly it (documents) goes missing, then everybody's integrity will be questioned," Kuan said, adding it was "quite impossible" for anyone to tamper or hide documents from his office. Asked at the end of the recording if he was pressured to make the statement, Kuan said "no". Kuan, however, refused to speak about the video when contacted on Wednesday. "I do not wish to speak about this," he told Malay Mail before hanging up. Another former AFC staff member, James Johnson, who left for Fifa, was apparently present during the video recording. It is learnt the video was never submitted to Fifa. In an email reply to Malay Mail, Fifa said: "We kindly suggest you to direct your enquiry to AFC." Bukit Aman Commercial Crime Investigation Department confirmed Soosay had, in a police report on Aug 17, 2012, alleged Hammam had embezzled nearly US$10 million (RM36.17 million). Its deputy director (operations and intelligence) Datuk Abdul Jalil Hassan said the case was classified as NFA (no further action). He declined to elaborate. Former AFC financial director Amelia Gan and her husband Tony Kong Lee Toong were implicated in the theft of missing documents at AFC House. Kong claimed trial to a theft charge on Sept 19, 2012. On Nov 9, 2012, Kong's lawyer Kamarul Hisham Kamaruddin said prosecutors decided to drop the charge but he did not give any reasons. Soosay: Where’s this coming from, why now? KUALA LUMPUR — AFC general secretary Datuk Alex Soosay refuted allegations he had instructed any party to "tamper or hide documents" linked to him during the internal audit by PwC in 2012. Soosay stressed investigations had been wrapped up and he was never hauled up by any party including Fifa to provide statements regarding the episode. "Where is this coming from and why now?" Soosay asked, when told about the July 26, 2012 video recording between AFC financial director Bryan Kuan Wee Hoong and Fifa investigator Michael John Pride. "If there was something, wouldn't they have investigated me? This is just a smear (campaign) against me. There is no such thing." Soosay was in Dubai on Wednesday, awaiting his flight to Bahrain where he will attend a series of meetings ahead of the AFC elections on April 30. He added: "It is a non-issue. There is no evidence of any wrongdoing." Asked if he had been under duress during Hammam's tenure as president, Soosay said: "Yes". He said he had no issues with Kuan whose disclosures to Fifa alleged Soosay had asked him to tamper or hide crucial documents. "I appointed Kuan after we sacked Amelia Gan (former AFC financial director)." Gan, and her husband Tony Kong Lee Toong, were implicated in the theft of missing documents at AFC House in Bukit Jalil on July 31, 2012. "This whole thing is being taken out of context. It is only to smear me. There were no cash advancements ... everything (was) documented. "PwC has given their report, Fifa has investigated. Everything is settled and the case closed. There is no such thing," he added. Egyptian-general-turned-president Abdel Fattah al Sisi’s iron grip on dissident is likely to be put to the test with the sentencing to death of 11 soccer fans for involvement in a politically loaded football brawl three years ago that left 74 militant supporters of storied Cairo club Al Ahli SC dead. The brawl and the subsequent sentencing to death in an initial trial two years ago of 21 supporters of the Suez Canal city of Port Said’s Al Masri SC sparked mass protests by Al Ahli fans demanding justice in the walk up to the court hearings and a popular revolt in Port Said and other Suez Canal cities once the verdict was issued that forced then President Mohammed Morsi to declare an emergency and deploy military troops to the region. 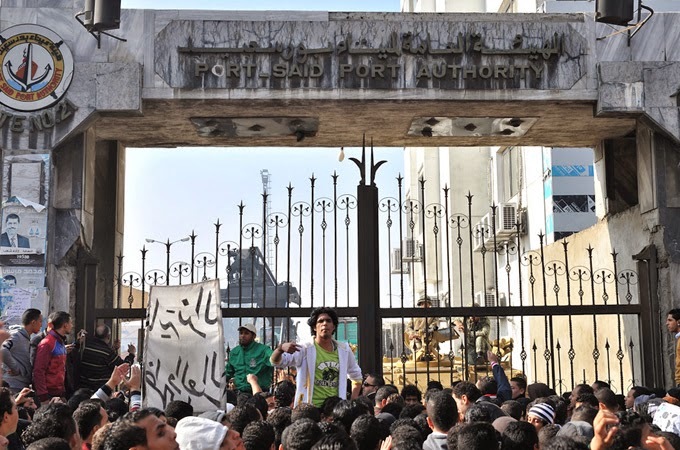 Although the judge in the retrial ordered by an appeals court lowered the number of al Masri supporters facing a death penalty, the verdict is certain to spark renewed anger in Port Said where many see the fans as scapegoats in what was likely an effort that got out of hand by the military and security forces to punish the Al Ahli supporters for their key role in the 2011 popular revolt that toppled President Hosni Mubarak and subsequent mass protests against military rule. The 11 fans are part of a group of 73 defendants that includes nine polices officers and three Al Masri executives charged with responsibility for the incident in which police and security forces stood by as the Al Ahli fans died in a stampede after their team’s match against Al Masri in a Port Said stadium whose gates had been locked from the outside. The court is expected to issue its final verdict on May 30. Suspicion of some association of police and the military in the incident, the worst in Egyptian sporting history, was further fuelled by circumstantial evidence, including lax security in advance of the match, the signalling of a group of men armed with identical batons in the stadium, and threats exchanged on Twitter between Al Masri and Al Ahli fans in advance of the game. Mr. Al Sisi’s brutal suppression of dissent since he toppled Mr. Morsi in a military coup in 2013 that has led to more than 1,400 deaths and the incarceration of thousands raises the stakes for protesters and could lead many in Port Said to think twice before taking to the streets. Supporters may also wait until Egypt’s grand mufti rules on the death sentences. All death sentences in Egypt are referred to the mufti for his non-binding ratification. A decision by the mufti to reject the death sentences could lower temperatures in Port Said but spark anger among Al Ahli fans who celebrated when the initial court sentenced the 21 to death. The initial indictment of the 73 served to effectively put the blame for the incident on Al Masri fans and evade a thorough investigation of potential involvement of security or military personnel despite the presence of nine local police officials among the defendants. The framing of the case in this fashion made it however impossible to achieve a verdict that would be perceived as equitable by all. The sentencing of the Al Masri fans was always going to leave Port Said unhappy while acquittal or the imposition of light sentences would have infuriated the thousands of supporters of Al Ahli. The court verdict comes at a sensitive moment in Egyptian soccer politics. The death sentences came days after Egypt moved closer to banning as terrorist organizations militant soccer groups that form the backbone of opposition to Mr. Al Sisi’s autocratic rule with the arrest and pre-trial detention of five alleged members of the Ultras White Knights (UWK), the highly-politicized, street battle-hardened support group of Al Ahli arch rival Al Zamalek SC. The five men were arrested on charges of joining a “terrorist entity” and attempting to topple the regime of general-turned-president Abdel Fattah Al Sisi. The verdict also followed the start of a trial against 16 people, including UWK members, charged with violent acts, arson and rioting that led on February 8 to a stampede outside Cairo’s Air Defence Stadium in which 20 people were killed. The deaths are widely believed to have been the result not of UWK provocation but of violence by a police and security force that has no experience in crowd control and is notorious for its brutality. Finally, the court issued the death sentences at a time that soccer fans are at the core of anti-government protests in universities that are controlled by security forces and popular neighbourhoods of Egyptian cities. Leaders of fan and student groups warn that the post-2011 generation is on the one hand more apathetic and on the other more hopeless and nihilistic than the one that participated four years ago in the popular revolt. The crackdown on soccer fans at a time that league matches are played behind closed doors to pre-empt violence and prevent stadia from re-emerging as venues for the expression of dissent is certain to deepen a sense of frustration. “When the opportunity arises they (the new generation) will do something bigger than we ever did,” said a founder of the UWK who has since distanced himself from the group. James M. Dorsey is a Senior Fellow at the S. Rajaratnam School of International Studies (RSIS), Nanyang Technological University in Singapore, co-­‐director of the University of Würzburg’s Institute for Fan Culture, a syndicated columnist, and the author of The Turbulent World of Middle East Soccer blog. Presidential elections and tournament hosting in the world of soccer appear to be seldom won on the merits of a candidate or bidder’s proposition. Instead, the outcome of polls and bids are frequently the result of backslapping, backstabbing backroom politicking between global soccer managers and political leaders. 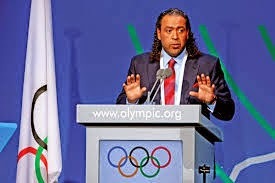 World soccer is about to get another taste of the global soccer’s wheeling and dealing with the likely election of Sheikh Ahmad Al-Fahad Al-Sabah, the head of the Association of National Committees (ANOC), the Olympic Council of Asia (OCA) and the influential Solidarity Commission of the International Olympic Committee as an Asian member of world soccer body FIFA’s executive committee. A Kuwaiti politician, former oil and information minister, and past head of the Organization of Oil Exporting Countries (OPEC) as well as his country’s National Security Council, Sheikh Ahmed is already being touted as a possible future president of FIFA in 2019. If successful Sheikh Ahmed would succeed FIFA president Sepp Blatter who is expected to win a fifth term in next month’s poll. The president of the Asian Football Confederation, Sheikh Salman Bin Ebrahim Al Khalifa, who is a shoe-in for re-election with no opponent in an AFC presidential election at the end of this month thanks to Sheikh Ahmed’s support, has already paved the way for his Kuwaiti sponsor. Assured of his FIFA vice presidency that comes automatically with his virtually certain re-election as AFC president, Sheikh Salman has manipulated AFC election procedures to position Sheikh Ahmed. The manipulation says much about the non-transparent political dealings in global soccer designed to not only maintain political control but also ensure that a closed circle of executives and politicians remain in power. It comes as a book by two Sunday Times reporter scheduled for publication next week discloses Mr. Blatter’s deal with Qatar’s ruling family that ensured his re-election for a fourth term in 2011 in exchange for ensuring that Qatar would not be deprived of its right to host the 2022 World Cup irrespective of whether the Gulf state had violated FIFA bidding rules or not. It also comes weeks after Sheikh Ahmed in a humiliating defeat in a power struggle within the Kuwaiti ruling family was forced to publicly apologize for accusing former prime minister Nasser Al-Mohammad Al-Ahmad Al-Sabah and former speaker Jassem Mohammad Abdul-Mohsen Al-Karafi of attempting to overthrow the government as well as money laundering and abuse of public funds. A court declared documents and video evidence put forward by Sheikh Ahmed to have been fabrications. In an apology on Kuwait television addressed to the former officials as well as his uncle, the emir, Sheikh Jaber Al-Ahmad Al-Sabah, and his uncle, Crown Prince Sheikh Nawaf Al-Ahmad Al-Jaber Al-Sabah, Sheikh Ahmed offered “my deep apologies and express my profound regrets for my recent prejudice, abuse and slander, intentional and unintentional, and which were based on the information and documents concerning the interests of the country that I had received.” He said he had believed that the information was credible and correct. “As I seek pardon from Your Highness, I stress that what happened will be a lesson from which I will benefit and draw appropriate conclusions. I am in full compliance with the orders and directives of Your Highness and I promise to turn the page on this matter and not to raise it again,” Sheikh Ahmed said. Humiliated at home, the incident is likely to blunt Sheikh Ahmed’s immediate political ambitions in Kuwait. However, that is not true for the world of global sports where he is already considered to be one its most powerful players. And Sheikh Salman is happy to lend a helping hand should Sheikh Ahmed wish to expand his empire after the Kuwaiti announced two months ago that he would be a candidate for one of three elected Asian seats on FIFA’s executive committee. Sheikh Ahmed has opted to run for the two-year Asian vacancy rather than one of the two four-year openings on the FIFA board. That would allow him to be re-elected in 2017 and position him as a sitting FIFA executive committee member for the 2019 presidential election. To ensure that Sheikh Ahmed’s strategy works, Sheikh Salman has agreed, according to veteran sports journalist Keir Radnedge, to manipulate the election in a way that Sheikh Ahmed is guaranteed a two-year rather than a four-year seat on the FIFA executive. As a result, AFC at its congress at the end of this month in Sheikh Salman’s home country of Bahrain will vote on instructions of the AFC president separately for the four and two-year positions. Mr. Radnedge noted that Sheikh Salman’s manipulation in favour of Sheikh Ahmed highlighted the fact that little had changed in AFC governance since the Bahraini official came to office in 2013 with a pledge to clean up the organization. Sheikh Salman was elected as the AFC was being rocked by a scandal that led to the banning for life from involvement in soccer of its former president, Mohammed Bin Hammam, on charges of financial abuse and mismanagement and question marks about the integrity of the awarding of a $1 billion contract to Singapore-based World Sports Group. Since coming to office, Sheikh Salman has ensured that a damning audit of Mr. Bin Hammam’s management that contained far-reaching recommendations for further investigation and possible legal action was buried and that power was further concentrated in his hands at the expense of greater transparency and accountability. “The manoeuvring illustrates that the AFC has made little progress since Bin Hammam was expelled from football for life by FIFA… In fact, no serious attempt has been made to resolve concerns over the controversial World Sports Group commercial contract and the disturbing complexities emanating from the Bin Hammam affair,” Mr. Radnedge said.